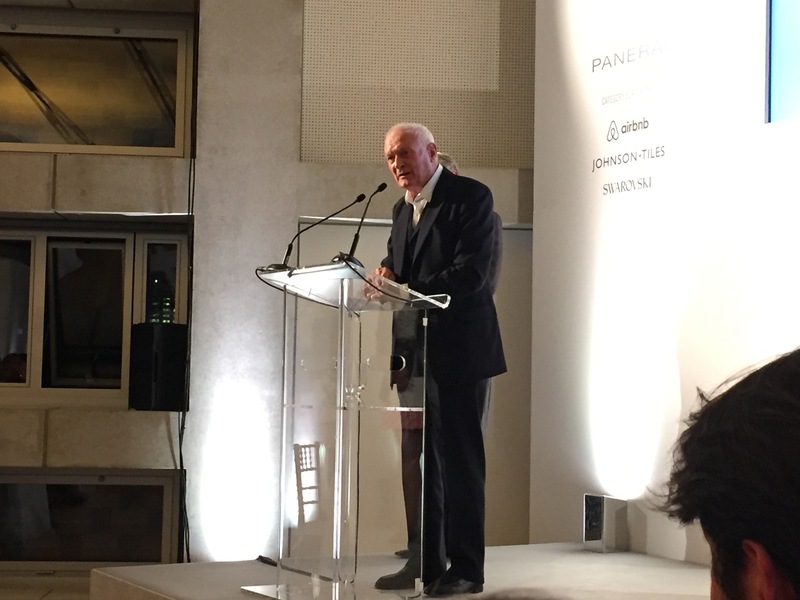 A few nights ago at the London Design Festival annual dinner, Sir Kenneth Grange was awarded the Lifetime Achievement Medal. Richly deserved. 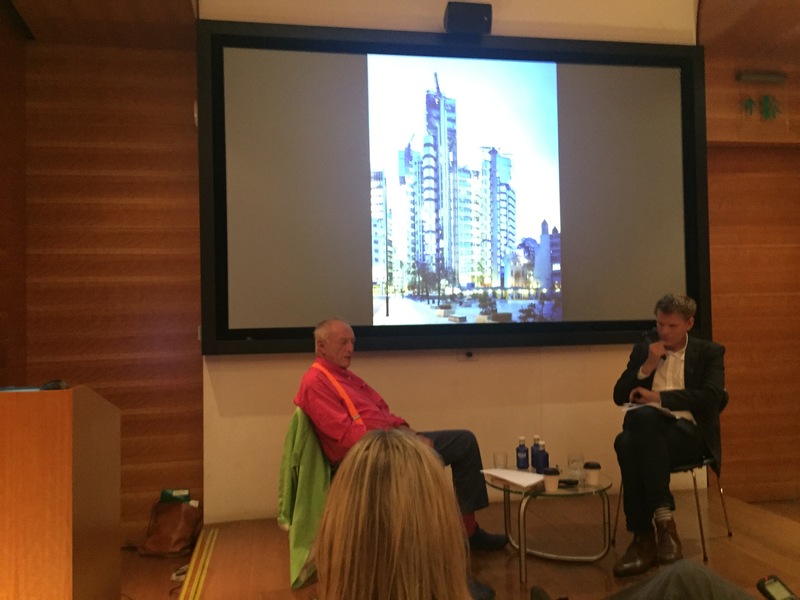 I saw Richard Rogers in conversation with Christopher Turner as part of the London Design Biennale. Sorry for the poor picture. Rogers was wearing an amazing pink shirt and green jacket combo that would make most people look like kids tv presenters but managed to make him look more statesman like. Here are my notes, unedited, from the night. My comments in (brackets). These should not be taken as verbatim quotes. They are notes. The Garden City is a bad "utopia"
It's too late not be seriously damaged by climate change. But I think there's a good chance we won't destroy mankind. 2000 citizens in Athens when it started and the motto was - "I promise to leave the city better than when I entered it"
(Someone asked about Brexit. Massive sigh from Rogers. Head in hands.) I'm scared. It's amazing that we're so parochial to think the nation is a thing. The big problems facing us like climate change won't be solved by individual nations. I'm a big fan of cities. Nations are only useful for sports. 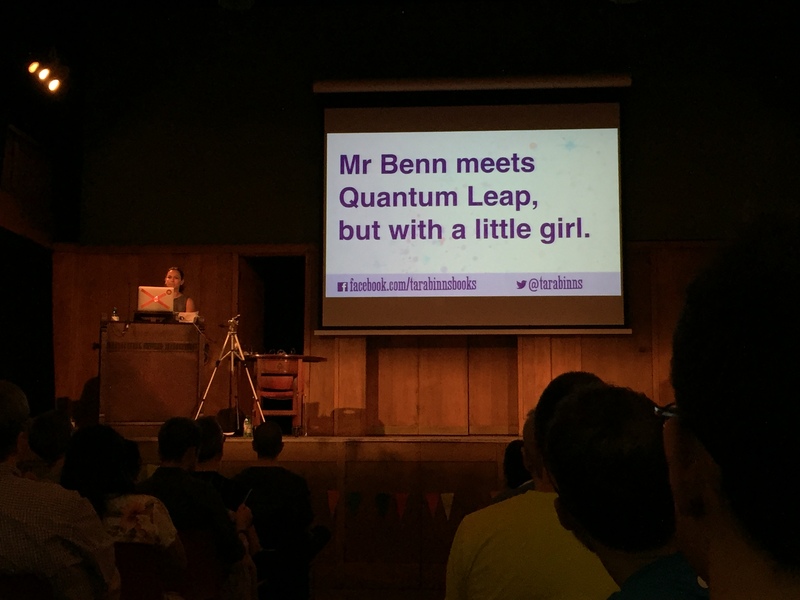 Went to Interesting 2016 the other day. It was as good as the other Interestings but a bit shorter. Lisa spoke about her books, which are amazing. You can find out more about them here. You can also buy them here. 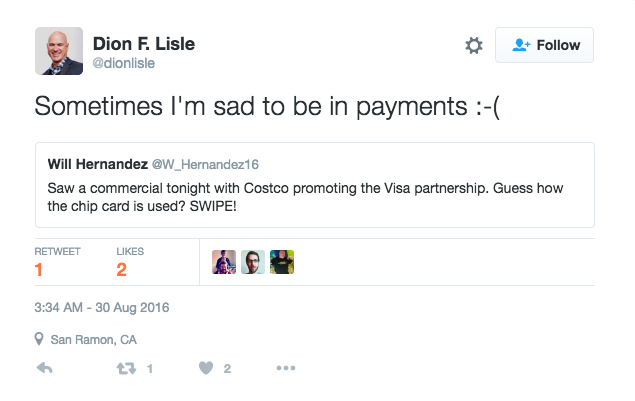 "Sometimes I'm sad to be in payments"
More on the other blog. The comments on Yahoo! answers are positively good. 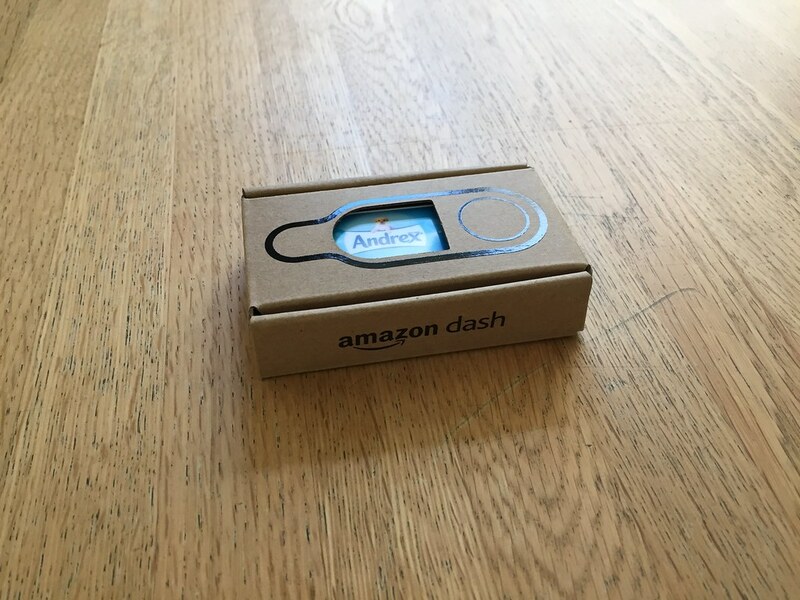 I bought an Amazon Dash button last week. Obviously. Ordering one is easy enough, it costs £4.99 which gets deducted off your first purchase. I chose Andrex as that’s the only brand I could us using in this household. We don’t really buy the other brands listed. Setting it up isn’t as simple as I’d expected. Takes a few goes, lots of bluetooth syncing issues. Many other tech things have this issue, but it felt like a big overhead for some toilet rolls. You can choose which Andrex product you’d like from a small range. In common with Prime Now and Add Ons and other speedy Amazon services it seems like there’s a minimum spend of around £15. 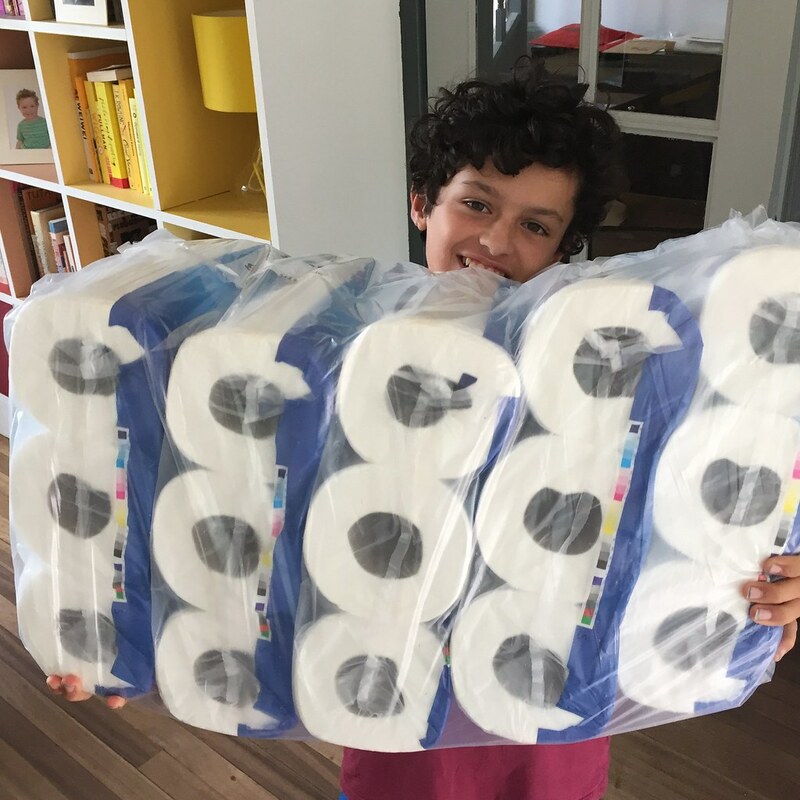 That’s a lot of toilet rolls. I pressed it late Thursday night and on Saturday morning 45 toilet rolls turned up. A completely customisable one would be incredible. Looks ok in the photos, but it’s bigger than you think and there would be no way I’d want this in my bathroom stuck on the wall. The logos are just too ugly. That’s an odd thing to write when bathrooms are notoriously filled with ugly logos and I could conceivably change my mind with subtler logos. This isn’t just a designer’s comment. It feels weird. The experience is strangely cold. And I'm an easily excitable early adopter type. 1. I press a button and 24 hours later the thing I want arrives on my door. It knows exactly which one I want, it knows my address and it debits my account. That is an incredible experience. 2. Nothing really happens when you press the button. A little green dot flashes. 24 hours is a long time to wait for something to happen after you’ve pressed a button. It’s all a bit of an anti-climax. This raises all sorts of awkward questions for brands and “customer experience” people. The worst thing Amazon could do would be to layer on lots of meaningless jokes and ideas. An app you had to fire up that had an animation of Andrex puppy loading a lorry would be an awful idea - for example. But you can imagine the temptation. The experience is brilliant, really. Maybe the button needs to make a noise. Maybe we’ll just get used to it. I am not advocating more "brand experience". Far from it. Please don't write a think piece claiming I think Amazon needs more "brand experience". I don't. Maybe it's just feels odd because it's a new behaviour. I could imagine a dozen of these in a garage, or maybe an airing cupboard and on Sunday afternoon you go round pressing them as required. It feels like it would be more magical if they played with the economics, and there is much more eloquent writing on the economics, innovation and marketing impacts of this from Simon Wardley and Matt Webb. This is a snowflake on an iceberg controlled by Amazon. 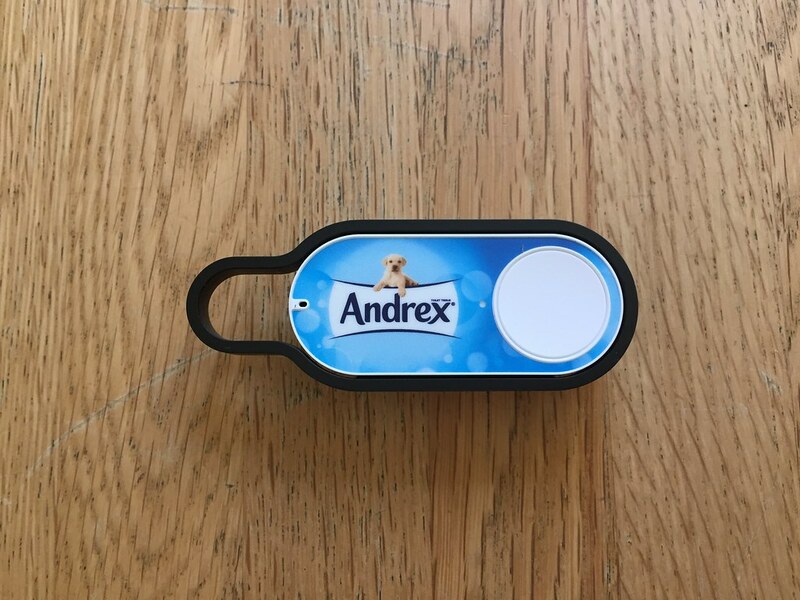 And remember, “in the future every product will carry a buy button." One last thing. Whether you love this or hate this, the point is that Amazon is a company that can make this happen and almost no one else can right now. I did my first Parkrun on Saturday. 5 sunny kilometres around Dulwich Park. I loved it. Great atmosphere. Good fun. Parkrun is a phenomenon there are about 150,000 runners every Saturday all across the globe. There were about 200 people in Dulwich. 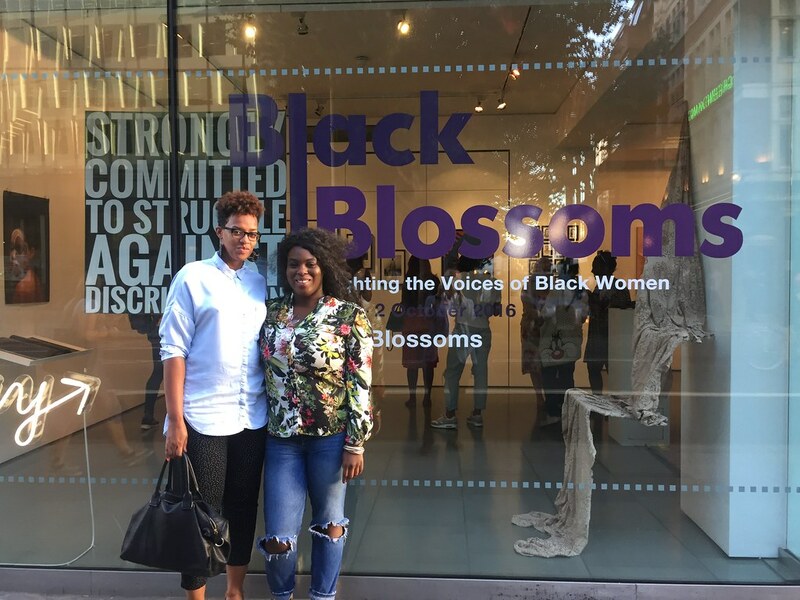 This is old news but it’s a real internet enabled, ground up community. It’s free, you can register online and then you get a printed barcode and therefore a time, but you don’t have to, you could just turn up and run. Staffed by volunteers. The rules or operating principles to setting one up seem to be: Saturday 9am, 5k, in a park. That's pretty simple. It's a lot less intimidating than joining a running club. A bit like blogging used to be "networking for shy people" you could see how this could be a running club for shy people. It's more diverse than a running club too, a variety of ages and speeds. Not massively diverse, but that might just be the park I was in. 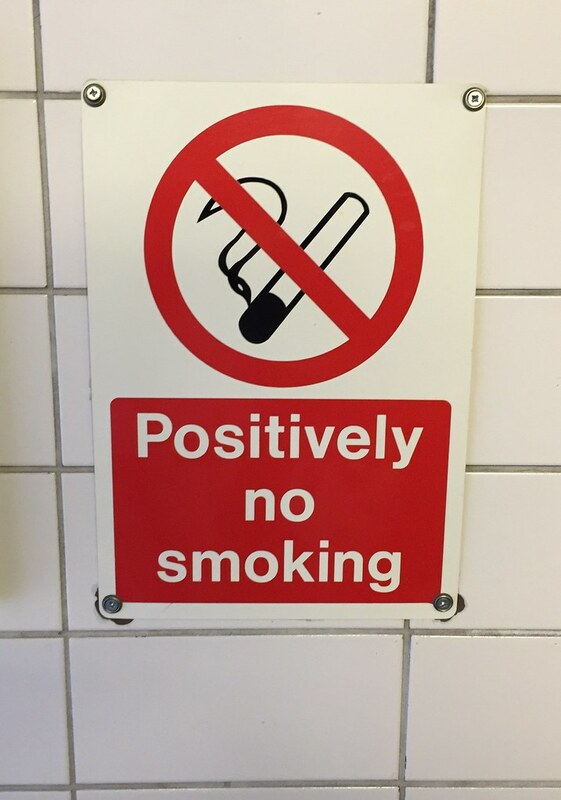 Using the network to good effect. Creating shared online and offline platforms.